Although much of the focus lately has been on Razer’s recently launched Phone, Razer’s bread and butter still remains their peripherals lineup. Today, Razer is announcing that they’re revamping the Blackwidow Ultimate mechanical gaming keyboard by now adding improved dust and water resistance. 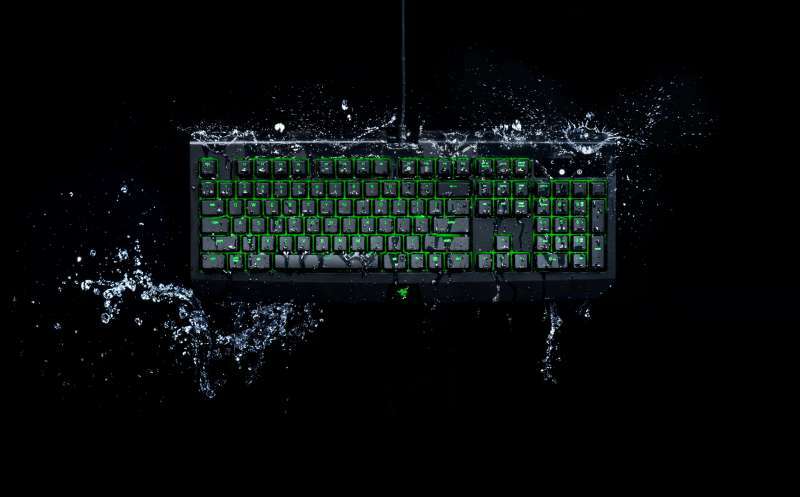 The newest Razer Blackwidow Ultimate now features an IP54 water and dust resistance rating thanks to its improved Razer Green switches which now feature a wall around the switch to prevent water and dust from entering. Aside from the new water and dust resistance, the Razer Blackwidow Ultimate retains all the features of the previous models including programmable green LED lighting, Razer Green switches, fully programmable keys, and more. The new Razer Blackwidow Ultimate is expected to be priced at $109.99 and is available now on Razerzone.com.